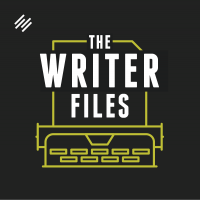 In addition to being an entrepreneur and speaker, Jeff is a writing and creativity consultant, and his popular blog, Goins, Writer, offers free tips about the writing life. His podcast, The Portfolio Life, delves into many of the same topics via interviews with entrepreneurs and writers aimed squarely at helping listeners pursue work that matters. On Jeff’s last visit to the show in 2015, we talked about his bestselling book, The Art of Work, and how to think like a professional writer. Writers, I think you’re going to like this one. I loved the excellent podcast my parabéns ..